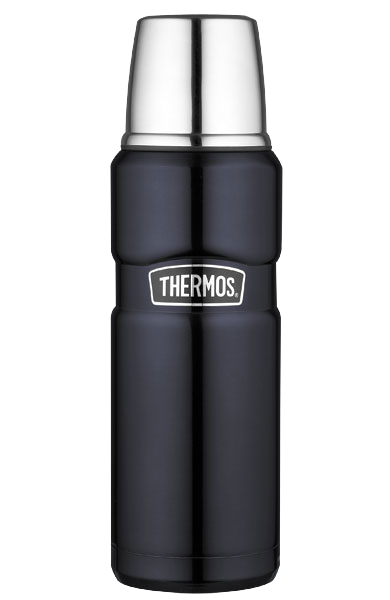 Thermos has been a household name for years and is known by everyone. It is actually one of the few items in the world that has become a genericized trademark. I can still remember the old soup Thermos we took on family outings: a simple canister with a click-on mug that would keep our food warm for about an hour or so. The Thermos we know today may still carry the same name, but they made momentous strides in innovation since then. The canisters and hydration bottle came in a dark blue/stainless color. The metallic color gave the Thermos containers a very modern look appropriate for the times. Plastic is definitely long gone and the stainless steel double wall vacuum insulation is here to stay. They actually look so nice they could also become regular kitchenware products rather then a storage container in someone’s pack. The canister and hydration bottles are lightweight and small. They pack well and make them suitable for any type of trip. During my last backpacking trip I tested the 7 Hour heat retention of the Food Jar in the snow. The soup remained hot for about 6 hours, some of the heat escaped due to the constant opening and eating along the way, but overall the heat retained wonderfully. Packing is extremely simple. Just drop in some hot or cold food items in the containers. Screw the cap on and it’s ready to go. To me, the Thermos containers are still a modern day marvel. These containers are great for families who like car camping as well. Just having hot food/drinks readily available for the kids is always a plus. Not only is this great for long trips, but for the leisurely day or weekend hikes as well. 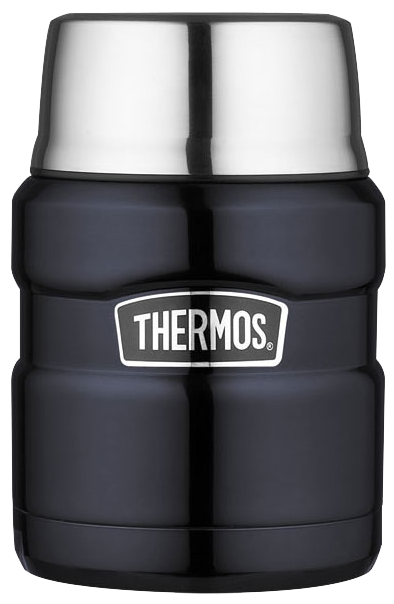 The versatility of the canisters is what makes Thermos really shine. They have no specific niche, but are great in all areas. Both the canister and hydration bottle were made of unbreakable stainless-steel interior and exterior. I proceeded to put this specification to the test with a few drop tests. Nothing extremely scientific, but while hiking I simply tossed the canisters off a hill (~20 feet) to a rocky outcrop. I then went down to inspect the damages. Besides a few scratches the entire canister was unscathed. Not a single dent or problem with any of the functions of the canister. Availability of sizes. The Food Jar used in the review has a capacity of 16 ounces. 24 ounce and 48 ounces Food Jar’s are also available. Only the 16 and 17 ounce Food Jar’s are available in different colors. 24 ounces and up are only available in stainless steel. Considered a luxury item by some backpackers. The Food Jar is definitely great for the camping, weekend hikes or for the first meal out on an extended backpacking trip. The hydration bottle is also great everyday carry in any of those environments as well. Thermos continues to live up to their name as one of the best Food Jar makers in the industry. Thermos will always have a place in history and in my pack. :-) It may be additional weight and may be considered a luxury by some backpackers, but to me it is an essential. Nothing is more uplifting than warm food/drink in extremely cold weather. Especially if I can have it, without making a fire or setting up the stove to heat it up. Check them out on Facebook and Twitter as well. I want a thermos that will keep the tea hot during snowboarding session at -5, -10 degrees? What do you recommend? I think any good thermos can do that. You have to know that once you open it, the tea inside will get colder faster. So with each serving, you can expect it to be a bit less hot than last time. If it's really cold, you may want to have an insulating cover on the flask.